Welcome to the Hess Lake Improvement Association website. Welcome home to the lake! The purpose of the Hess Lake Improvement Association (HLIA) is to promote a sense of community among its members including homeowners and summer residents. HLIA was created to work together on solutions for better water quality, to stimulate general property improvement around Hess Lake, and to plan fun annual community events. 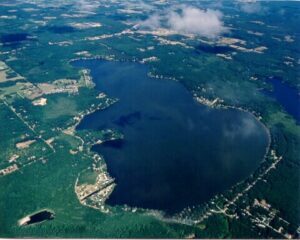 The mission statement of HLIA is to promote a genuine spirit of good fellowship among the residents of Hess Lake. Please join the Hess Lake Improvement Association. Meet your neighbors and learn more about the beauty of our lovely lake! To join, please send a check for $25 or contact your HLIA Zone Rep.